In the final session before the EU elections, the European Parliament will vote for a new EU Directive to protect whistleblowers in Europe. Civil society played an essential role in making this happen. 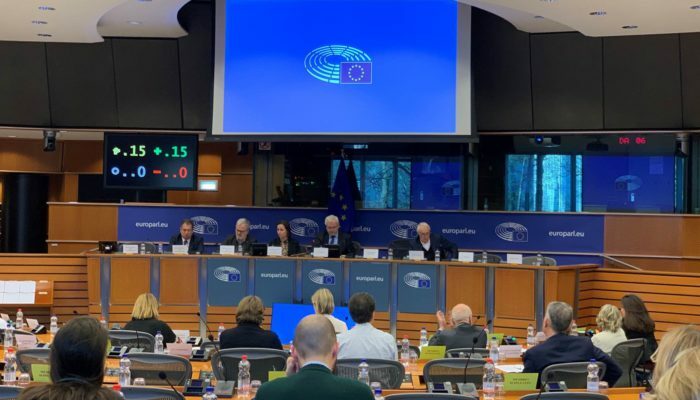 Warm applause greeted the unanimous adoption of last week’s trilogue provisional agreement on whistleblower protection, at today’s European Parliament Legal Affairs Committee. 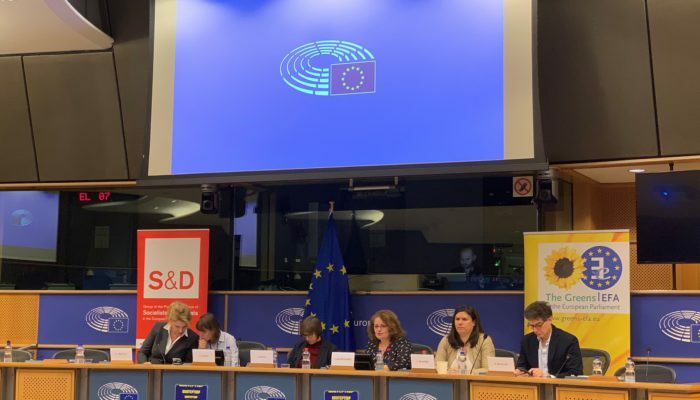 Members of the WhistleblowersProtection.EU platform mainly welcomed the provisional agreement reached by the European Parliament, the Commission and the Council, in the early hours of the 12th of March. MEP Virginie Rozière, European Parliament Rapporteur for the proposed whistleblower protection directive, yesterday, received petitions with more than 280,000 signatures, gathered by coalitions of trade unions and NGOs, which she handed over to the Council of the European Union at the final scheduled trilogue in the Parliament on Monday 4 March. Today trade unions and NGOs will deliver two petitions gathering over 280,000 signatures supporting the European Parliament’s demands for an improved directive. 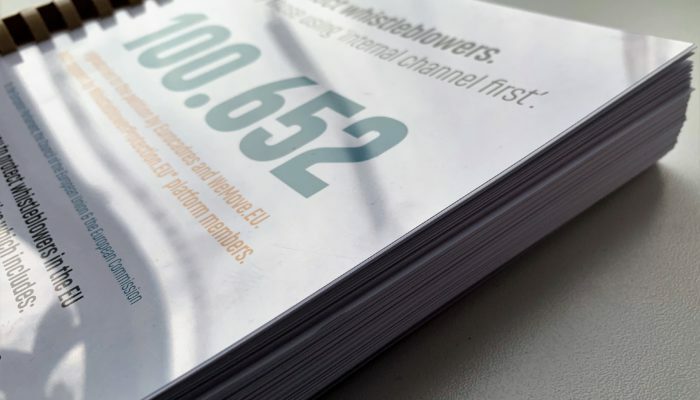 In an open letter 81 signing organisations urge the EU Council to adopt the Parliament’s position on reporting channels. The whistleblower protection directive is currently in trilogue. The signatories express serious concerns about the reporting channels regime in the Council and Commission positions in these negotiations. 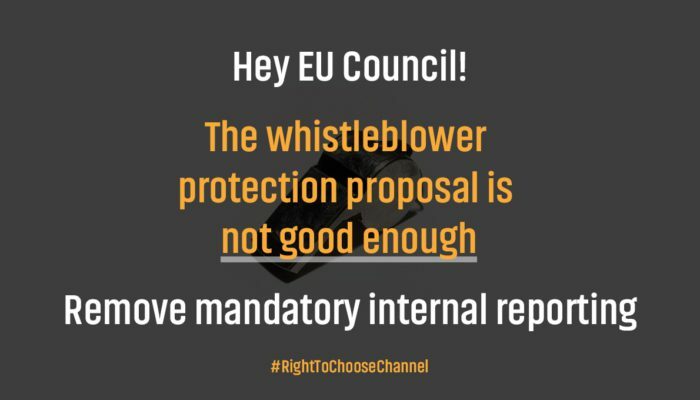 A few weeks left to improve the whistleblower protection directive. 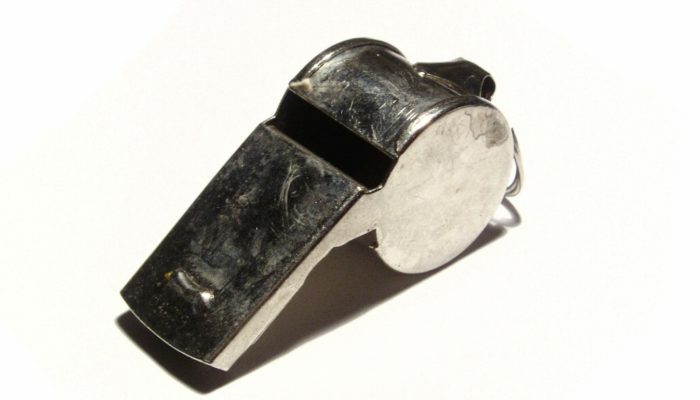 Make your voice heard and sign the new petition for strong whistleblower protection! European institutions have been seen as being too close to lobbyists and vested interests. 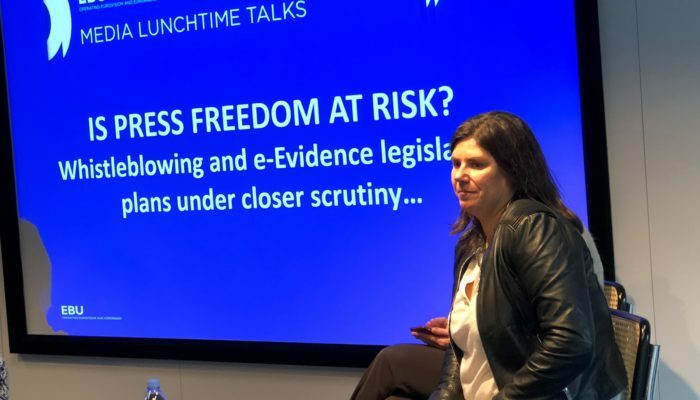 It would be a real shame if member states’ representatives were now seen as acting against public concerns, in resisting a whistleblower protection law which encourages the reporting of crime and wrongdoing, said Virginie Rozière MEP. 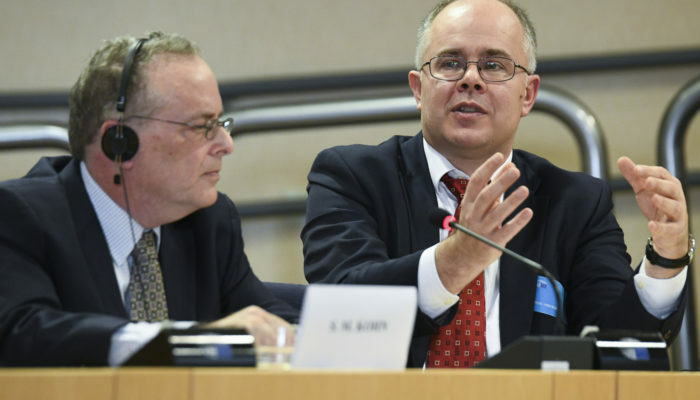 The now famous Danske Bank Whistleblower, Howard Wilkinson, testified before the TAX3 European Parliament Committee last week. Whistleblowerprotection.eu is a platform initiative launched by Eurocadres with signatories from trade unions and civil society organisations. To join the platform with an organisation, contact secretariat@eurocadres.eu. Supported in part by a grant from the Open Society Initiative for Europe within the Open Society Foundations.